2012 (February) Guest Lecturer. 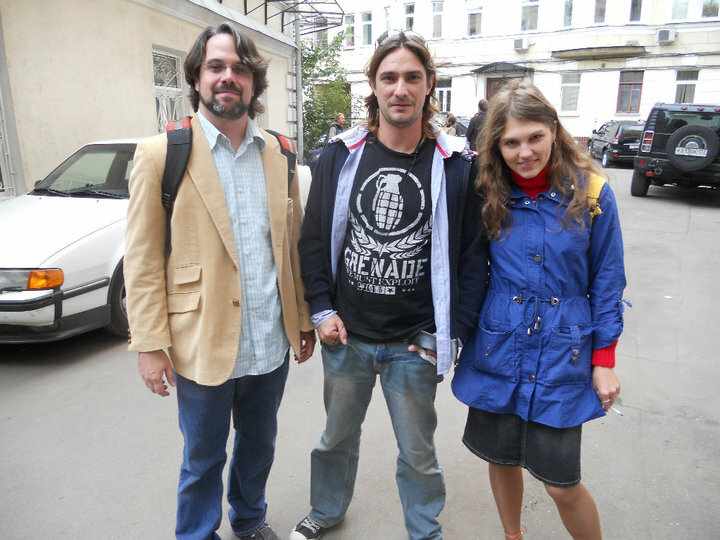 Yury Urnov, New Russian Drama Course. Towson University. 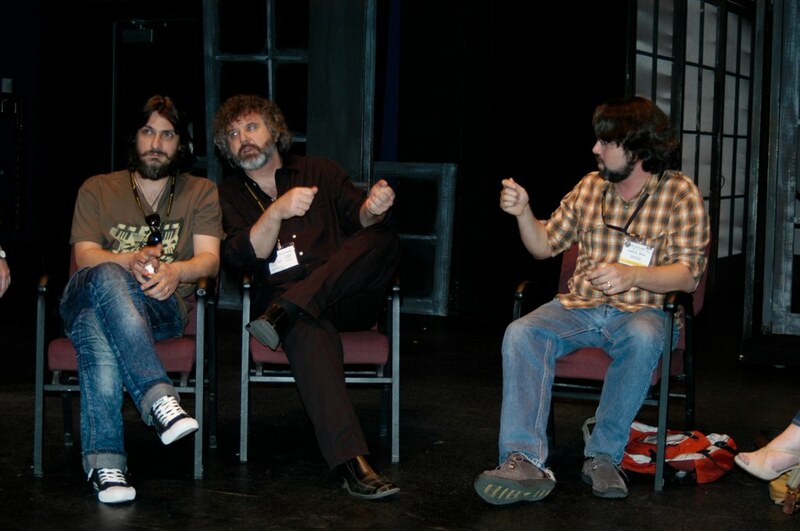 Talking with Yury Klavdiev (far left) and John Freedman (center) at New Russian Drama Conference (photo by James Knight).